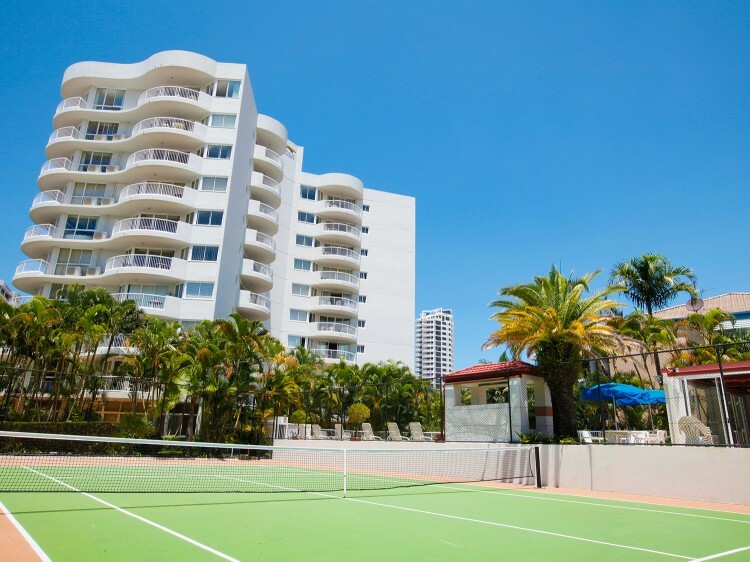 Nestled perfectly between two of the most vibrant beachside suburbs on the Gold Coast, Surf Parade Resort offers you a relaxing and satisfying holiday. 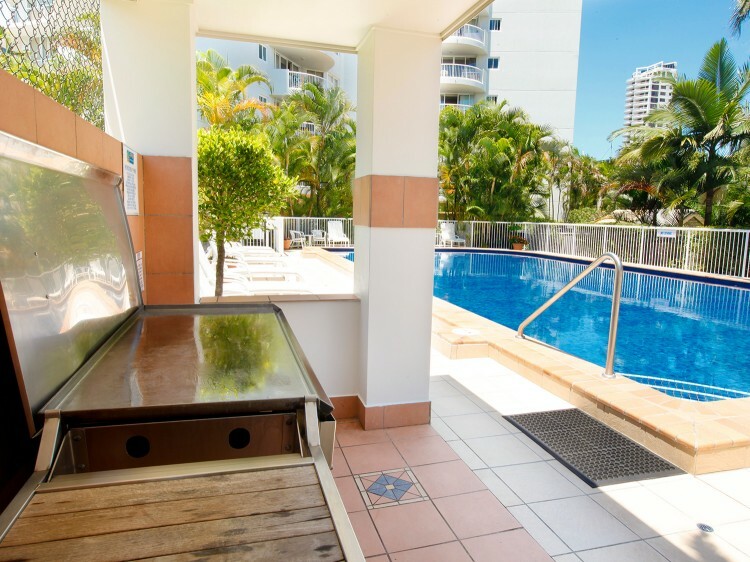 The superb one bedroom holiday apartments are perfect for couples and small families seeking comfortable and affordable Broadbeach or Surfers Paradise accommodation on the Gold Coast. Surf Parade Resort offers 98 fully self-contained apartments, all fully equipped with in-room corner spa bath, large curved balconies and airconditioning. Each apartment has modern interiors that are complimented by a lovely decor. 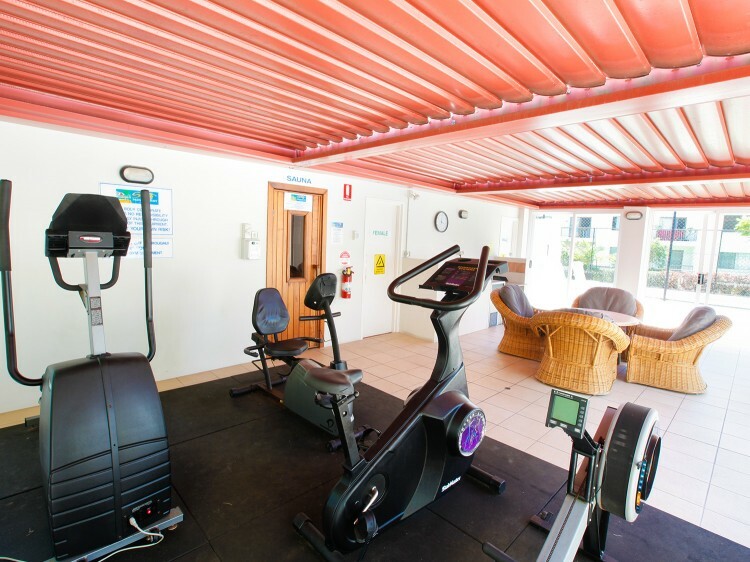 Enjoy the first rate resort facilities that include a full sized tennis court, heated outdoor swimming pool, heated spa, mini-gymnasium, BBQ area and gazebo, and a lush tropical garden. All apartments have WiFi access within the entire building, thereby enabling guests to maintain email contact and internet access while on holiday. 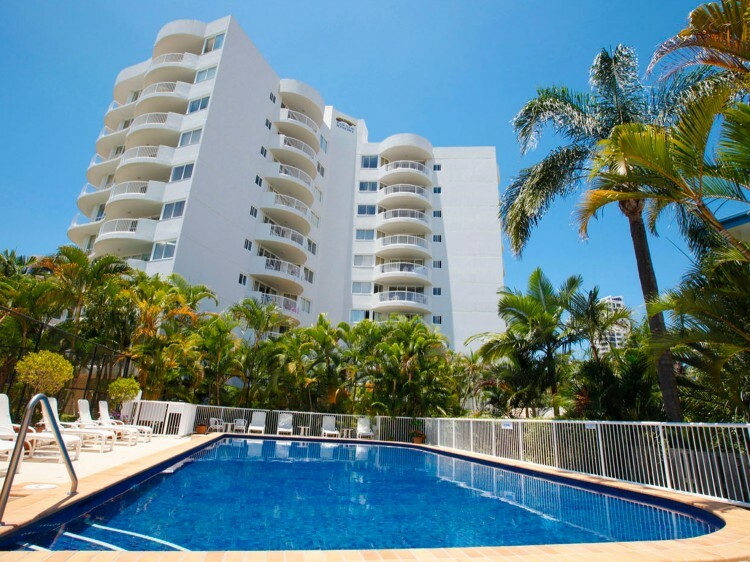 Surf Parade Resort is also a mere stone’s throw away from the most exciting places on the Gold Coast. Get easy and convenient access to the most spectacular patrolled beaches and world class theme parks. Fabulous shops, innovative restaurants, trendy nightclubs and extravagant casino are all nearby. Please note that this property does not have any policies, procedures or resources in place to accommodate the unique needs of school graduates during the annual "Schoolies Week" period. It does not have adequate resources to engage qualified security personnel to guarantee the safety, comfort and convenience of school graduate guests during this period. For this reason the property reserves the right to reject bookings from school and/or university leavers for the entire Schoolies period.